I have been reading reviews and testimonials from people who have various insurance plans. Some are tragedies while others are triumphs. Some are irrational and others are lucid. Some cast blame while others render excited cheers. The key to all of this is that there is no middle ground. The reviews or testimonials show either utter contempt for the insurance company or are overjoyed with their insurance company. Why is this? First, the person didn't read or understand the policy. One of the biggest problems is that people do not read their policy carefully. They make assumptions, they decide that they'll read it later, but never do. When they think they have a claim, they fail to read their policy to confirm their claim. They also fail to call the insurance company to determine if they are covered. 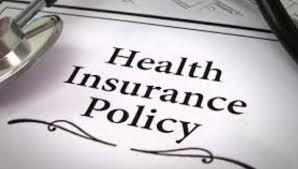 Another problem is that the person reads the policy, but doesn't understand it and then fails to seek clarification from their agent or the insurance company's call center or website. The insured failing to read and understand their policy and making assumptions without seeking clarification is the biggest reason for complaints. Second, they had an inexperienced or uninformed insurance agent. Not all agents are alike. A career agent that is well-informed and experienced knows what the policy will and will not do and can explain the policy clearly and concisely. An experienced agent knows the right questions to ask, is in the business to help people and not just to earn money. An experienced agent can either answer your questions or knows who to call to get you your answers and does it in a timely manner. Unfortunately, there are many brand new agents, or agents in it for the money that don't know the answers or where to get them, or they just don't care. Get to know your agent before you sign. Quiz them about who they go to for answers. Find out what kind of person they are and their personal interests. Call their supervisor if you have questions or concerns. Find out the agents motivations and knowledge base. The reputable inexperienced agents need people to trust them so that they can gain experience, but take the time to minimize your risk by using the suggestions I mentioned. Third, they had an inexperienced call center representative. Call centers have the same problems as many other businesses. They may have brand new employees that lack the experience to serve you properly. Again, just like inexperienced agents, call center representatives need people to trust them so that they can gain experience too. If you question the knowledge or abilities of the call center representative, politely ask to speak to their supervisor. That way you can get more definitive answers and help that inexperienced representative by creating a learning experience for them. Fourth, you need to know that insurance is a team effort. When something goes wrong and you find out that something you thought was covered is not covered, don't play the blame game. It doesn't matter that you failed to read the policy or that your agent forgot to tell you something about your policy, or that the agency is not paying your claim because of what you would say is a technicality. What matters is what you do with this information. Did you learn something from the experience? Are you better equipped to get what you need from your insurance the next time? What can you do to make sure you have the insurance coverage you need? What can you do to make sure your next claim goes through without any problems? We all make mistakes, but it's what we do with that mistake that counts. Learn and grow from mistakes and leave the blame game to those that just want to complain. When you get a new gadget, you read the instructions to make sure you know how it works. It's the same with insurance. Knowing how your policy works, what it covers, what it doesn't cover, how to submit claims and when to submit claims, will help you get what you want from your policy. This starts from before you even sign your application. Don't sign unless it covers all your needs and a price you can afford. Then review the entire policy at least annually and ask these questions. Is this policy still fulfilling my insurance needs? Do I know what is covered and what is not covered? Do I know who to call if I have questions? Do I know how to file a claim? Has my agent spoken to me sometime this year to check up on me and make sure my needs are still being met? If you can answer all these questions you are in good shape, if you can't, you need to call your agent, contact the call center or consult the agencies website for answers. I hope this information helps you. 0 Response to "Insurance Policies, Complaints and Testimonials"